Misaligned teeth are more than an aesthetic threat. When teeth are unevenly spaced or crowded, it can lead to decay and gum disease due to how difficult it is to clean these tight spaces within your smile. If dental health issues become a frequent battle, it can deplete your budget as well as impact your overall health. Not only is advanced gum disease associated with heart health, but some orthodontic issues can lead to chronic headaches, earaches and even digestive complications. Did you know that your teeth can move or shift at any age? Whether it is a new health condition, a recent tooth loss or a jaw injury, your teeth can move around even in adulthood. Therefore, your once perfect smile in the high school yearbook may now appear more crooked or gapped then it was back then. Adult braces can help get your smile back on track. A pretty smile is important. Not only can it help you smile with greater confidence and feel better about yourself, but it can also affect how others perceive you. In fact, studies show that adults with an attractive smile are more likely to do better at work or get a business promotion. Not only do many orthodontic offices offer flexible financing plans to alleviate the cost of braces, but many adult patient find themselves in a new opportunity to get what they couldn’t afford as a child. It is never too late to straighten your smile. 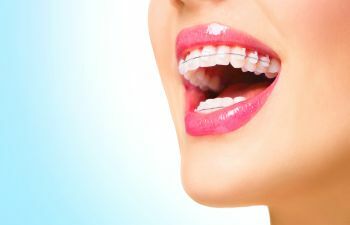 Call Georgia Orthodontics & Children’s Dentistry today for our complete list of adult braces and modern orthodontic options. We have solution that can fit your lifestyle!